Jean Servais Stas was born on August 21, 1813 in Leuven, Belgium. His father was a locksmith. Due to his delicate health he was predisposed to an academic career. Initially he trained as a doctor at the University of Leuven, because at the time it was the only field of study at the university that taught laboratory science and he obtained a medical degree in 1835. After graduation he switched to chemistry, working for Jean-Baptiste Dumas. In Dumas' laboratory Stas assisted in the most accurate, at the time, determination of the atomic weight of carbon. In 1840 Stas was appointed professor at the Royal Military School in Brussels. He continued measuring atomic weights, using Oxygen, at 16, as a standard. He proved that atomic weights for elements were not all multiples of 1, the atomic weight of hydrogen, disproving the theory of English physicist William Prout that all the atomic weights were multiples of that of hydrogen. These careful measurements by Stas helped form the basis of the periodic system developed by Dimitri Mendeleev and other chemists. The atomic mass of an atom is equal to the number of protons and neutrons found in its nucleus minus a small amount of mass for binding energy. The atomic mass of elements used by chemists today are averages, weighted for the various naturally occurring isotopes of the element. For example chlorine has two naturally occurring isotopes, chlorine-35 and chlorine-37. About 76% of naturally occurring chlorine is chlorine-35, so the weighted average used for chlorine in chemical calculations is 35.45. And this is an example of why Stas, in his measurements, did not always get integer results. Stas is also responsible for one of the world's first toxicology findings. 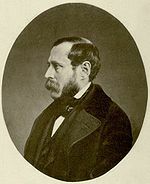 In 1850 the Belgian authorities requested the help of Stas in providing evidence in the prosecution of Count Bocarme. Bocarme, in order to secure for himself the family fortune, had poisoned his brother-in-law by force feeding him nicotine that he had extracted from tobacco. Stas developed a method for isolating alkaloids from human tissues and was able to isolate nicotine from the corpse of Count Borcame's brother-in-law. Stas' evidence was used in the trial and helped convict Count Bocarme of murder. Honors won by Stas include induction into the Royal Society of London, as a foreign member and the Davy Medal, from the Royal Society, for his researches into atomic weights.